A growing number of states have passed laws allowing pharmacists to prescribe hormonal birth control, expanding the ways in which people can access contraception. Ibis is collaborating on a number of projects aiming to assess the readiness and willingness of pharmacists to provide this service and to understand users’ experiences with these programs. 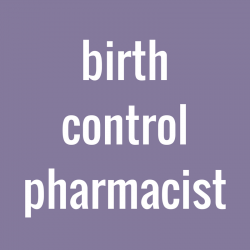 With partners from Washington, DC to California, Ibis aims to gather mixed-methods data on pharmacist prescribing of birth control in order to understand how these programs can best meet users’ needs. Lessons learned from these projects will help improve training protocols for pharmacists offering hormonal birth control prescriptions and begin to build the evidence base around patient experiences and health care utilization among those obtaining birth control outside the clinic setting.